It's been a lonnnnng time! We can't wait to see everyone's faces. This meet up will be focused around hearing your stories we will be connecting on a human level! Can't wait to see everyone. 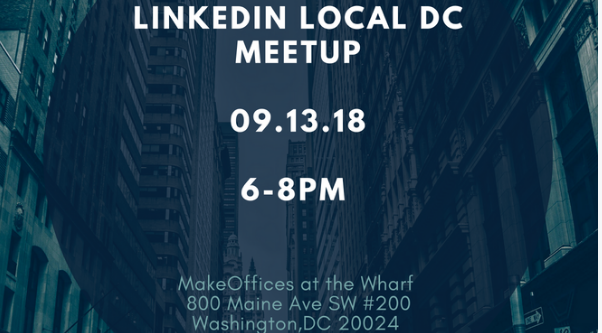 This event is completely free and serves as an opportunity to make connections within your LinkedIn DC Community. Refreshments & Food will be provided courtesy of MakeOffices!